Enjoy Bokerah Brumley's Books? Tell us Why and Win a Free Book! Welcome to Bokerah Brumley's BookGorilla Author Page! We're working hard to bring you the best deals ever on Bokerah Brumley's Kindle books. 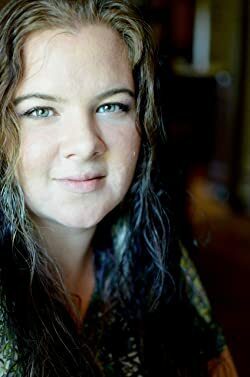 If you’re a Bokerah Brumley fan, we'd love to have your help in making this author page special. Tell us, in no more than 150 words, why you think Bokerah Brumley is great. Use this webform to send us your submission, and if we select yours we'll offer you one of Bokerah Brumley's books or a Kindle Gift Card as a free gift! Thanks! Please enter your email address and click the Follow button to follow Bokerah Brumley! Princess Murasaki knows her future: Betrothal, Marriage, and the end of her life as she prefers it.Yet when her father is taken by the King of the North, Muri is saved by the gods--and granted not one but three elemental warriors to command. It's not the future she foresaw, but it might be better than anything Muri could have imagined. It's the year 2049, and it's the hottest summer on Texas record. When Penelope's car overheats on Houston's I-45, she fears it's the harbinger of worse things to come...until an attractive astronaut named Micheal arrives and tries to save Penelope's day.